The best seller of this shop is now available in a new LIMITED EDITION, a red version special for Christmas. OTTAWA CAPE is a warm double faced cape for women ideal for daywear worn with flat boots, but also perfect for the evening paired with pumps or brogues. The double face allows you to have 2 capes in 1 into your wardrobe. One face is black, the other one is red, with elegant black borders. You can wear this cape buttoned as double breasted cloth. 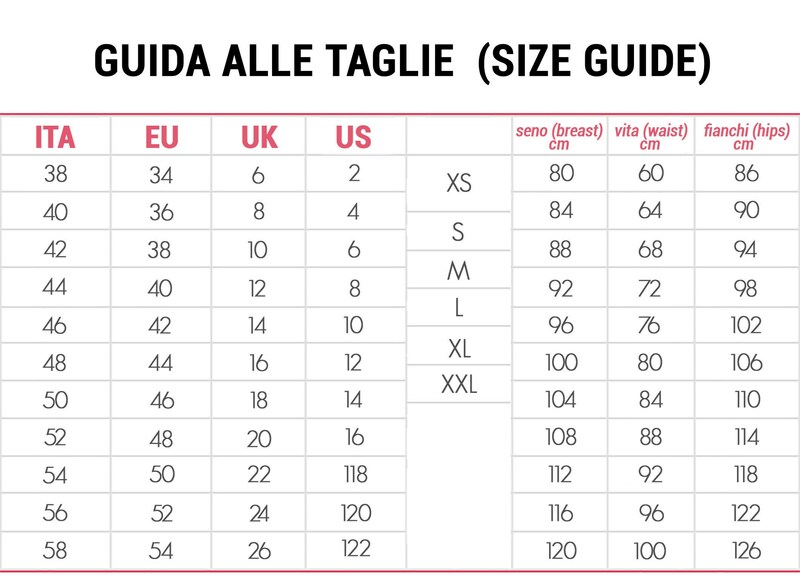 Plus, you can button up only one row of buttons to get more width. This feature is particularly useful if you're pregnant or if you bring your baby with you in a mei-tai. 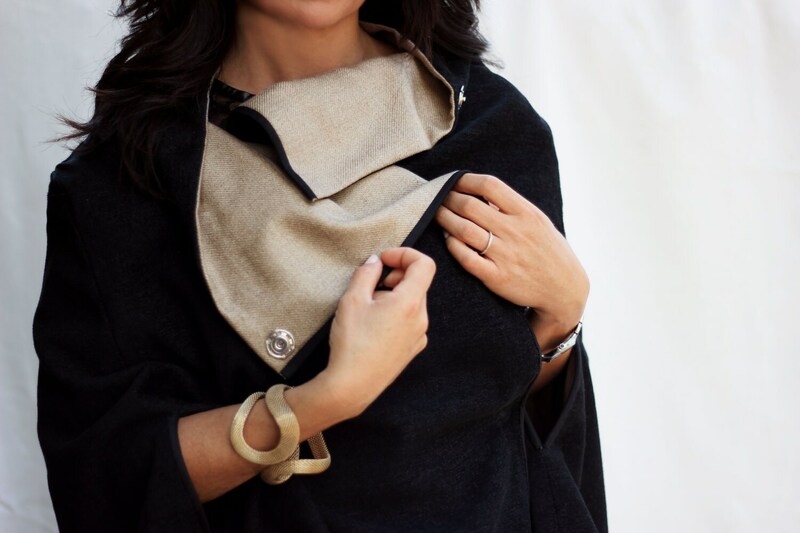 The double layer of fabric keeps you very warm, but if you're very chilly, the width of this cape allows you to wear it over your coat. 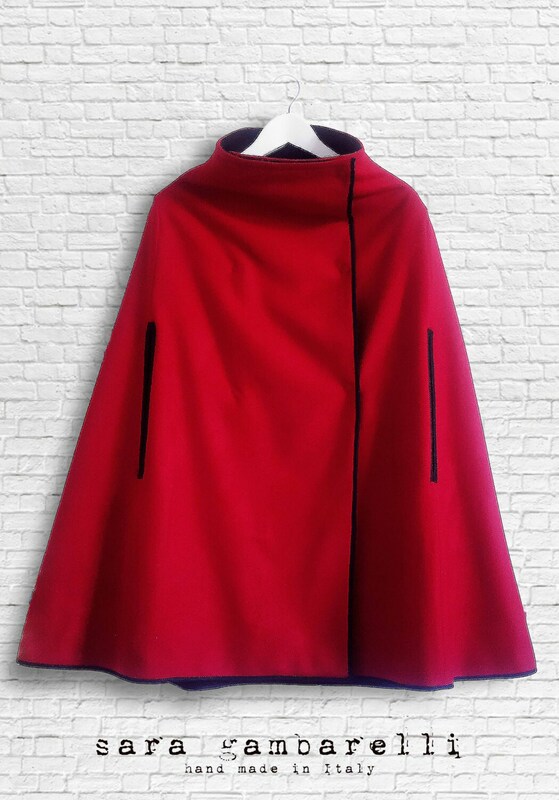 Size: S - M - L.
Length (from shoulder): about 30"
OTTAWA CAPE is a custom made item, so if you've got special requirements of lenght, contact me and we'll sew it for you. My dad was looking for a Christmas gift for my mum so I showed him this mantel and his reaction has been "go for it, I like it!". 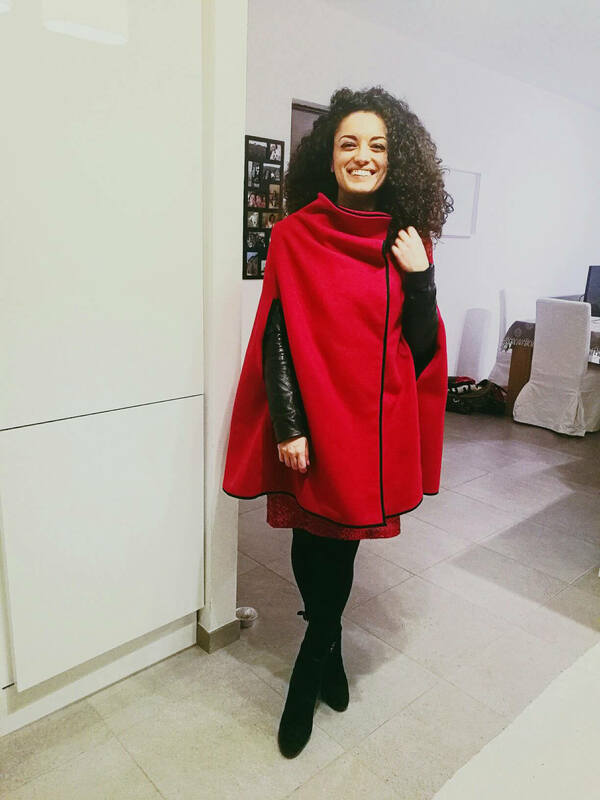 My mum loves it, she is into colours and this red is the perfect shade for winter (but if you need something formal you can use the black side). Her comment is: It's really well made, the wool is warm but not itchy and it's cosy like a hug. You really can't go wrong with Sara! La mantella è bellissima... calda e morbida. In questo periodo sto portando la mia bambina in fascia e grazie alla doppia fila di bottoni riesco ad utilizzarla anche insieme a lei. Sara è stata molto disponibile e rapidissima nella spedizione.